Treadmills are now one of the most loved and used fitness equipment around the world. Not only in gyms, people utilize them in homes too as they find it comfortable to jog or run on it at their own sweet time and within their comfort zone. Buying a treadmill is a confusing task. There are different types to it and it totally depends upon your usage, that which type of treadmill will be the best for you. The most commonly used treadmills at homes are motorized treadmills. Manual treadmills are somehow getting lost into the dusty pages of history now. However, they still do exist. 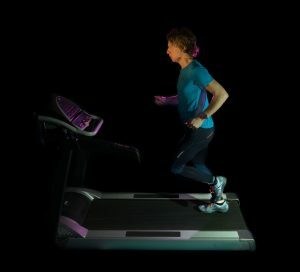 At the same time, hybrid treadmills are admired as well. Now, the variety of companies that offer treadmills is vast. You get so many options that your analysis sense gets lost somewhere. But the first factor that you need to consider is the price. How much are you ready to invest? Are you looking for a treadmill that costs you below $200 or investing $600 is perfectly fine for you? Every treadmill will cost you differently and that is the major reason why you need to determine your investment range before you step into the market to buy one. Just remember, that the more the features a treadmill are offering you, the more money you will probably have to invest. To bring you some of the best choices, in a different price range, here is a list of treadmills along with their prices. These will certainly help you in getting the best one and you can decide which features you need. Moreover, you can do a detailed research on them on your own too before you buy one of them. At the end, it all comes to how much you are willingly investing in buying a treadmill for your fitness schedules. So here are some best treadmills in totally different price ranges that you can look forward to. Let’s begin! The price range of these amazing treadmills is different. Every treadmill is able to bring a different set of functionalities with it. You just have to decide your purpose of having a treadmill and you need to decide the price range that you can afford. Once you have done that, you can easily buy a treadmill for yourself, remaining within the price range that suits you best. Make sure that you don’t empty your wallet for it and at the same time, you get a treadmill that is worthy and lasts long too. What to look for when buying a Treadmill?